Based on a number of reports of ghostly apparitions in and around the La Casa Drive area of Shingle Springs, we began doing night drops of data recorders to see if we could get any potential sounds of music or paranormal activity to register on our digital recorder. Update: First clips of the drop recorder are now online - More coming as our analysis concludes and then we'll issue report number one for the first drop experiment. Drop 2 will be in early/mid November. http://www.strangeusa.com/ViewLocation.aspx?locationid=1064 seems to be the origin of the report, which was then picked up and transmitted to many other sites. No matter the origin, they all are repeating one another. I've seen no evidence that anyone has even tried to check it out for serious. This investigation is being run because, frankly, no one seems to have paid attention to it. Our evidence will either confirm or deny the reports and we'll be frank with our analysis and conclusion. The reason for selecting a drop like this is because we didn't want to put a full team into an investigation of a place we had not at least done pre-investigation work on and the best way to proceed was with an expendable data recorder to see what we might get. The disadvantage of such an act is that we have a lot of evidence to listen to for each time we do this. We might also lose the recorder if found or it could be damaged. The advantages are that we can do a long-time investigation and let the equipment roll on a site that isn't known with relative ease and at low risk. Lessons learned on the first drop were that we need to provide some sort of insulation for the recorder to preserve battery life. Meaning that we embed the recorder in a leather or styro-foam enclosure that will insulate the recorder from the cold. And we may want to provide external D-size battery power for the recorder to provide additional power. We'll take this in steps, using the insulation method first and if that doesn't do, then we'll go with a battery pack to augment the internal power supply. Our first drop occurred on Oct 11'th and we managed to get a 5 hour and 2 minute data set. We left the recorder out at about 9:00 at night. We noted that the recorder was getting lots of road noise and in that sense, we were not concerned, since it was very evident what was road noise and what was not. At just shy of 18 minutes into the recording, footsteps were recorded with the distinct click of something sounding like metal or similar. These were in close proximity to the data recorder. These we distinct and sounded exactly like human footsteps. It may have been an animal, but if so, it must have been big. It may even have been human, but how could the steps just appear then vanish so quickly without trailing off in the distance? I'll be re-reviewing the sequence before and after this event to see if we can find this to rule this as a mere human investigating why we did the drop. A number of distinct clicks occurred during this first hour of recording. We'll be re-reviewing these to see if they can be identified. At 25 minutes, 36 seconds, a very low growl is heard very close to the recorder. Frankly, it raised the hair on my neck when it first registered during analysis. It was unlike any animal I'm familiar with. I'm going to clip these and listen carefully to them after washing the data through my audio software. On October 4'th, I took a spin out in the GRI Mustang to Shingle Springs Cemetery, a small little out of the way and very peaceful place of rest for some of the town founders of our little gold country hamlet. To be truthful, I hadn't even know it existed until recently, so I tossed it into the pile of pre-investigation spots to check out after discussions with other members and decided to strike out when some free time came my way. It was a stormy day that nearly got me killed coming back from another cemetery in the town of Fair Play when a car crossed over and nearly ran me off the road. Why I didn't get hit, I don't know. The other driver pulled back to their side and missed by inches. So, I can say that by the time I got to the Shingle Springs cemetery, I was a bit shaken up and used the time to just wander this nice little cemetery of 90 plots and to relax. 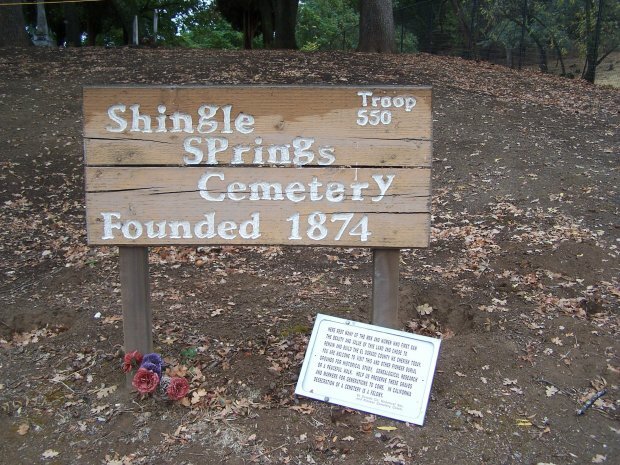 Shingle Springs cemetery - From the 1800s - A potential haunt -Actually, we couldn't get in! There is a private gated community blocking access. We wrote an email to the association to see if we can visit the cemetery later in the month. - update 10/4/08 - We did get in. It turned out to be accessible, but hard to find. A very small cemetery, but beautiful and it looks like a local boy scout troop is maintaining it. This is truly a nice-feeling place and we conducted some EVP work there. Photos to be posted later. Shingle Springs - Green Valley Road - Rumored to have haunted road with horses galloping on it - We drove up the road with no idea where the actual haunt was. The spot that seemed most likely based on feelings only was a section near Mulberry drive, but this is only a guess. A check with one of the investigators from another group who has had some familiarity with this area will confirm or disprove our guess. Shingle Springs La Casa Drive - Native American haunt - This site was nicely open to access and the community seems nice enough. Two areas seem of interest with regard to parking away from the main homes and an investigation might well be conducted there late at night with EVPs and perhaps a video unit if the police are notified and aware you would be going in to do this. The evidence for a haunt is a scant and anonymous report that shows up on multiple ghost site haunt lists. It could be that this is entirely bogus and thus needs to be confirmed. We may drive out again to try to contact homeowners there to confirm or deny the entire story. 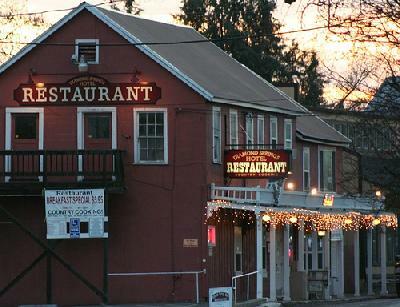 Diamond Springs Hotel - Active haunt investigated by many groups - Big parking lot and open back area. Possible to investigate with a possibly friendly owner who may let a group go in. Some people have seen a figure in the back of the hotel and it looks like it is possible to park or sit outside to the side of the hotel to view this area. It would be neat to try an EVP recorder in the back porch of the building and see what one could pick up. Update 10/4 - I visited the restaurant and had breakfast there. There is a sense of something odd about the place and the menu spoke of the happy ghosts upstairs. I didn't speak with the help there and will be emailing the owners to see about a training investigation there. El Dorado House Cemetery in Shingle Springs - In a business park - There is a grave there and it looks like the developers may or may not know of it and may not care about it. Our investigation showed a lot of trash and development encroachment in the area where this grave may lie. Advantages of investigating are that the site is that it is far from normal evening activity. One would need to have at least two investigators to properly work the site. Good for using EVP gear and infrared cameras for an evening investigation. Lesson learned here is to take latest photos from our source and to also bring a GPS receiver to mark the coordinates once found. We would also share this location with those interested in preserving the site. Fair Play Cemetery - A truly out of the way place and a beautiful place to rest. I really liked the feeling there and it was a truly friendly place. 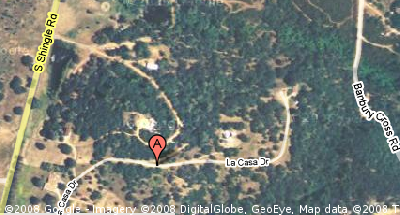 We will be conducting a scouting mission around the Placerville/Shingle Springs area on Friday, October 3'rd, 2008. A list of potential haunts is being examined for a formal investigation in the second or third week of October. This will be a training mission only. No private establishments will be investigated, only publicly available sites. If you live locally in the area of Sacramento and wish to participate in the scouting mission, we will be glad to hear from you. The mission will begin at 11:00am and last until 5:00pm. We'll stop for lunch and make decisions about the choice cases and see what the best options for an investigation might be around the area. This will involve speaking with homeowners, on-site testing of gear and "feeling" the place out to see if it bears investigating. One to two volunteer investigators in addition to the GRI leader will be going on the scouting mission. If you think you have the right stuff, click the CONTACT link on the left menu and get into touch with us. 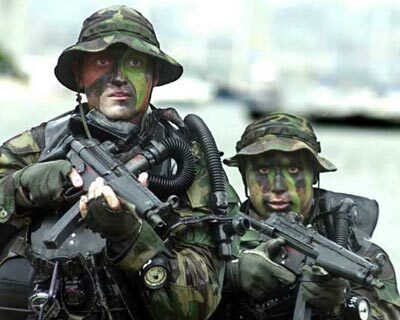 We'll be glad to have some company as we kick off our first missions! Ghost & History of Southeastern Tennessee Inc., a non-profit organization, took a team of investigators for a hunt of possible ghosts Saturday night at the Marsh House in LaFayette and its cemetery. Prior to the hunt, lead investigator Rick Howard said investigators would go through the entire mansion thoroughly with infrared cameras and audio equipment to see if they can pick up any anomalies. “From that point, whatever we pick up, we analyze to see if it is something that naturally occurred, unnaturally occurred and can we explain it in anyway, and then what is left is what we are interested in,” Howard said. The investigators contacted Marsh House co-coordinator Mary Smitherman to conduct the experiment at the Marsh House. The 11 on-site investigators began the hunt Saturday at 9 p.m. and planned to carefully search for paranormal phenomenon until 2 a.m. Sunday. 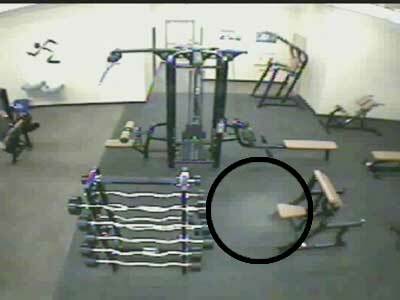 Security cameras at a Kansas gym caught a white ghostly image flitting amid the dumbbells in the middle of the night, spooking the facility's owner. The possible fitness phantom floated around the nautilus and weight-lifting equipment for about two hours in the Overland Park Anytime Gym, which was empty, according to KMBC-TV in Kansas City. At one point, the orb lingered by the dumbbells. The motion-sensitive camera was set off a total of about nine times between about 2:20 and 4:14 a.m. on Sept. 12. Gym owner Kim Peterson said she called her security company to review the footage. They ruled out insects, dust and headlights from the outside. "I said, 'Is there a light bulb going out or do I need to get up and clean the lens?" she said. "They reviewed it and said, 'We have no idea what that is.'" GRI is looking for team members from the immediate Sacramento and Placerville area. GRI wants you! 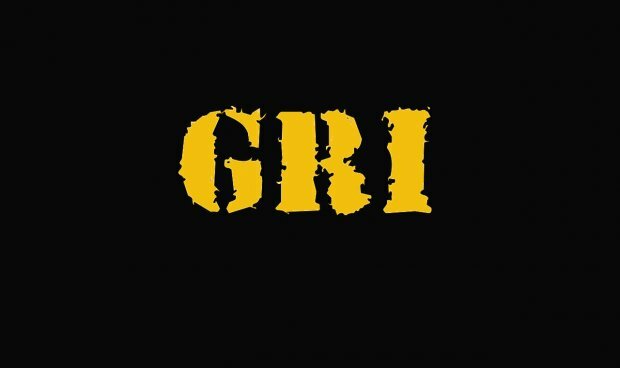 If you think you have the right stuff, contact us to arrange for possible membership in GRI as part of the team. Technical Support (On and Off-site of cases). Home and Architectural specialist (Plumbing, Construction experience desired). Almost certainly bogus in many cases, but there are some captures that do leave you wondering.... Still - a fun video! I've been away awhile, dealing with a sick father - He had a stroke and repeated seizures through the past six months, but things are looking improved and we are on a roll. So, the first set of investigations is about to be planned for the summer and fall months. More to come, but just wanted people to know we are not dead, just were on hold because of life issues!